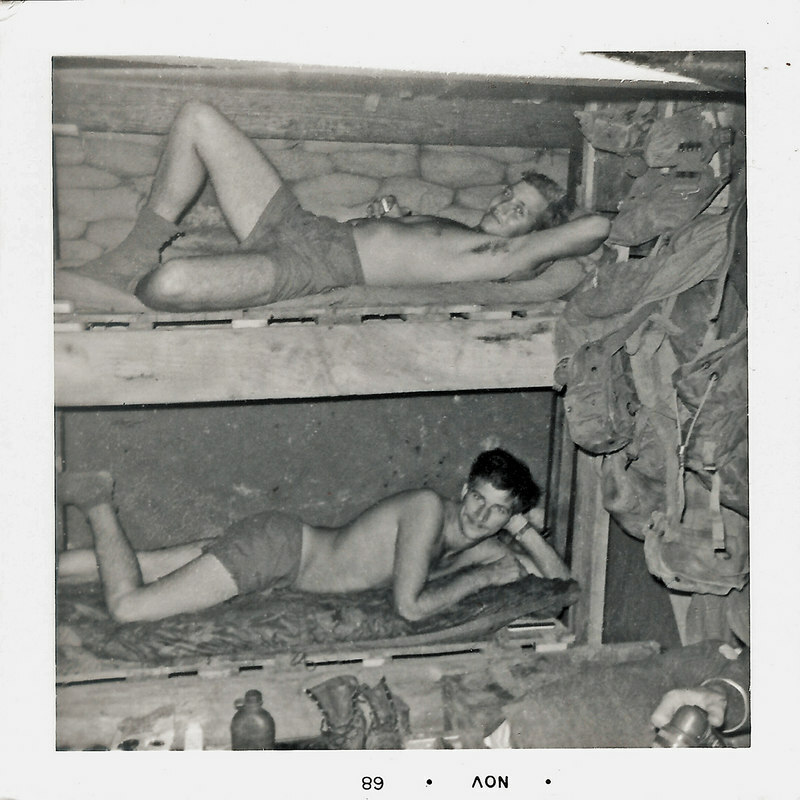 JM93: This looks like James R. Jones (GA) and Larry Brandt (WA), both of 1st Platoon, posing for some cheesecake photos. Note the socks, for walking around on the filthy floors. Jerome 'Buddy' Meyers was placed with 1st Platoon to act as Forward Observer for the Mortar Platoon (a.k.a. 4th Platoon or Weapons Platoon).